Charles Nelson Crittenton liked best to be referred to as “The Brother of Girls,” a title given to him by Frances Willard, renowned women’s suffragist, educator and temperance reformer of 19th century America. Crittenton was born in 1833 on a farm in Henderson, New York, to a large and happy family. However, he desired to go into retail and worked his way up to partner in a drug company in New York City. Eventually, he began his own wholesale druggist company and became quite wealthy. He was especially fond of the youngest of his three children, Florence, who died from scarlet fever when she was only four years old. Devastated by this loss, Charles turned to the Lord for comfort and had a deeply felt conversion experience. His work with street evangelist, Smith Allen, led to the opening of the Bleeker Street Night Mission in 1883. 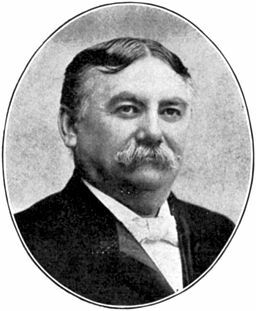 After the loss of his daughter, the stress of his wife's death, increasing business and mission responsibilities, Crittenton became ill. He rested and traveled at the instructions of his doctor, returning to concentrate on a preaching and teaching ministry. Out of this time of ministry and pondering, the National Florence Crittenton Mission came to be. 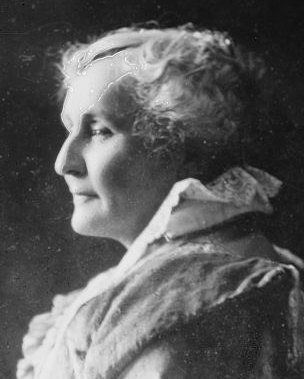 In 1893, he met Dr. Kate Waller Barrett, a woman truly ahead of her time. Crittenton shared his vision of homes throughout the country taking in "lost and fallen" women, shelters for girls who were bearing children out of wedlock and for prostitutes. Here they would find hope and grace, be retrained in a skill and learn how to become good mothers. Waller-Barrett willingly served as General superintendent of the National Mission while Crittenton traveled and evangelized. As he went from town-to-town, he offered to donate $500 to any community which would be willing to start a Florence Crittenton Home in their area. He continued his work until 1909 when he died from pneumonia, leaving a legacy in his daughter's name. Kate Waller Barrett had been a champion of marginalized women for many years and continued the work, taking over as president of the National Florence Crittenton Mission and continuing with Crittenton's vision for the homes for several years. Later, the profession of social work grew and influenced the mission's work. Unfortunately, there are reports of coercing teenage girls to release their children to adoption during the 1950s and 60s. However, during the 1970s a movement emerged to make changes, and included rescuing girls from risky behaviors, such as drug use. Now called the National Crittenton Foundation, 27 loosely affiliated organizations around the country seek to support young women and their families to break destructive cycles of behavior, empowering at-risk girls and young mothers to make healthy changes in their lives. Most of the unwed mothers choose to keep their children today. The hero of my novel, Rumors and Promises, Pastor Ian McCormick, visits a home for unwed mothers in Detroit, planning on beginning a similar ministry in Stone Creek, Michigan. I was elated to find in my research there was an actual mission, the Florence Crittenton Mission, which had opened in 1900, the year of my story that he could have visited. While the house on Brush Street and their previous accommodations, are long gone, I enjoyed learning about the Christ-centered roots of this home. It fit with Ian's heart for the girls on the margins of society. He had been deeply touched by a situation that took place earlier in his life, where he felt he'd failed. He feels compelled to reach unmarried mothers with the Gospel, a place of hope, sustenance, and shelter. From the roots of the real Florence Crittenton Mission in Detroit a medical center and hospital eventually emerged. Crittenton Hospital, a large and modern medical facility presently stands in Rochester Hills, Michigan. I wonder if Charles Nelson Crittenton ever imagined such a thing? 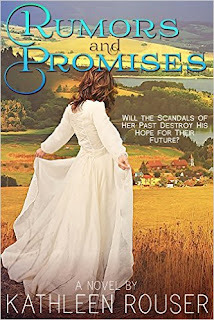 Please leave a comment for the chance to win a paper back or Kindle ebook version of my recently-released novel, Rumors and Promises, from Heritage Beacon Fiction, an imprint of Lighthouse Publishing of the Carolinas. Winner's choice! 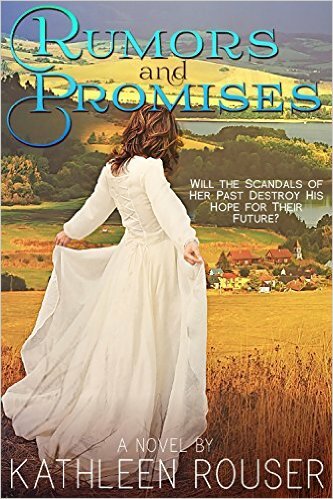 Her debut novel, Rumors and Promises, from Lighthouse Publishing of the Carolinas, has just been released. It's the story of an unwed mother, who is an heiress on the run with a child in tow, trying to start over in a town that doesn't like secrets! Connect with Kathleen at her website, Facebook author page, Twitter and Pinterest. Thank you for your interesting post and great giveaway..
Melanie, you're welcome. Thank you for stopping by and leaving a comment. As I write this, I have praises for Mr. Crittendon and his efforts to help young women facing pregnancy or even prostitution AND I marvel at how far our society has progressed in its attitude on unwed pregnancy. Your book sounds fascinating and I hope to read it soon! the day, didn't he? Thank you so much for sharing. This sounds like an interesting story, thank you for the chance to win a copy. There was, and still is, a Florence Crittenton Home in my home town. Interesting post, Kathleen. Just want to say that your book cover is beautiful! Congratulations! beautiful cover which Heritage Beacon had designed for my novel. Your post is very interesting. I remember, when I was in college back in the 1960's, there was a "home for unwed mothers" near my dorm. We would sometimes see the girls out for a walk. It was always thought-provoking to those of us who weren't in that situation. aren't hidden away any more. I'm sure seeing them at the time did give you food for thought. I'd never heard of Crittenton before, but you'll find this interesting. We have a Frances Willard home for pregnant women in the town I live in. It's really an amazing thing that Mr. Crittenton did. I wish we could know what happened to all those mothers and babies that he saved and gave a chance for a good life. Vickie, thank you for your comment. That is interesting about the Frances Willard Home. children. It would be interesting to know about! This is very interesting research. Thank you for sharing it with us. Thanks for the great history lesson and the giveaway. I hope to win because I love historical fiction. Good luck everyone. Glad to know there are plenty of readers out there who enjoy historical fiction! Thanks for your comment, Debbie. fun than writing it. Thanks for leaving a comment, Pam. Interesting post. Love the cover. cheetahthecat1986ATgmailDOTcom. Thank you, Kim. I appreciate your stopping by! How interesting! Thank you for sharing this article about Charles Crittenden. Interesting post, Kathleen - thank you!! Love the story line of 'Rumors and Promises'!! Thanks for the giveaway opportunity!! Thank you, Bonton. I appreciate your stopping by and leaving a comment. Your book sounds like a great read and I love the history you shared with us. Thanks for the chance to win a copy! Diane, so glad you enjoyed the history I shared. Kathleen, thank you for this interesting article. I had not heard of Charles Crittenden. I know there are many who have benefited from his endeavors. Thank you for the giveaway. Hi Caryl, nice to see you here. So glad you enjoyed this article! The winner of the drawing for Rumors and Promises it Diane Blaser! Congratulations, Diane!